I'm gearing up for a long Wisconsin winter and let me tell you folks, it can be rough. When the sun starts setting at 3 PM and my legs haven't seen the light of day in far too long a little self-care goes a long way! Everyone has their own unique ways of treating themselves in dreary Winter months. 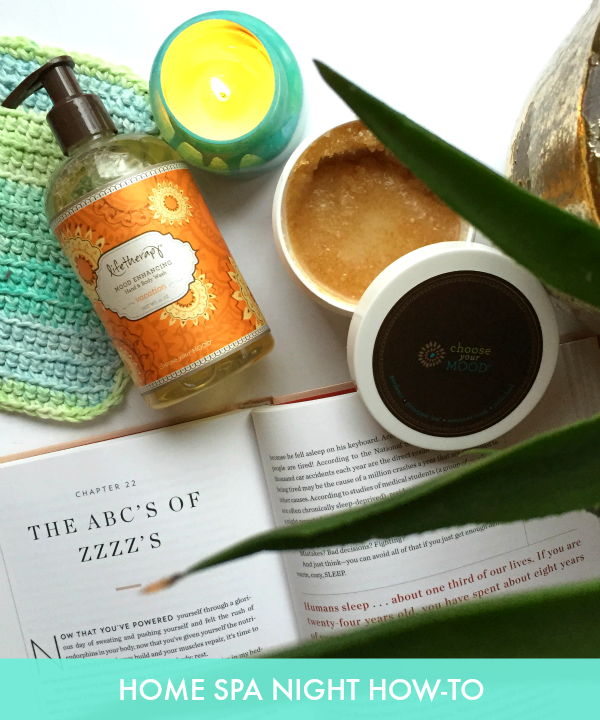 For me, it's an at-home spa night complete with candles, face masks & a good book. I'll share a few of my favorite ways to bring the relaxation of the spa to your home to help you fight the winter blues! 1. Bring the Spa Home with a Relaxing Bath: My home bathtub is far from spa-like, but lighting a couple of candles for ambience and breaking out my favorite scented scrubs (LifeTherapy is a current favorite) puts me in zen-like state. LUSH Cosmetics bath bombs are amazing! 2. Put on a Face Mask: Whether you choose to DIY a face mask or purchase one (I love these! ), be sure you choose one to match your skin type for the best results. I love trying out natural methods- this post has some great ideas! 3. Luscious Locks! : An at-home spa night is the perfect opportunity to take the extra steps to pamper yourself more than you would with your typical beauty routine. Try putting on a super moisturizing hair mask to deeply condition your hair. 4. Invite a Friend: A girl's spa night is the best because you can trade spa treatments. Trade facials or pedicures so you can both enjoy getting pampered (& save some $$!). What are your favorite ways to enjoy an at-home spa night? I love a good at home spa day! it's always a treat for me when I paint my nails, I don't know why but I love doing it!